For as long as I have had small children, I have purchased scratch and dent, marked down furniture. Since I had my second child when my first child was 14, that has been for most of my life. The reason that I like to buy marked down furniture with a scratch or two is that when they run their trains and cars over it, I don’t have to worry that it might hurt it. So, what if it gets scratched? I am going to end up repainting it one day anyway. If I had paid full price for a piece of furniture, I would freak out if I saw that they had scratched it. If I had paid a lot for the furniture, I would never be able to repaint it. I have had this chest for about 10 years, and it is time for all the dark wood in my house to go. My foyer was still painted gross gold from 2002, so I decided to paint my foyer Revere Pewter along with the rest of my house. I wanted to repaint the wood chest, and for some reason I just grabbed a can of silver spray paint, drug the chest out the front door, and sprayed away. Even though I have read many blog post about spray painting furniture, I was sure that it would look horrible, and I would be sanding it and repainting it. I was shocked that it looked beautiful. I have been repainting furniture for years, and I was so surprised that the chest looked just like it was store bought this color. I had planned on painting the drawers, but I placed them back in the chest to see how it looked, and I loved the look of the wood with the silver. I have been using the spray painted chest for a year now, and I have to say that the paint job still looks beautiful. I am not sure that I would spray paint a piece of furniture that is used a lot, like a table, but since this is a foyer piece, it is perfect. I spray painted the mirror over the chest silver, so they would match. I purchased a small bench and small chandelier at the thrift store. I made the artwork and pillows for a fresh updated room. My chest makeover with spray paint is a quick and easy way to update a piece of furniture. 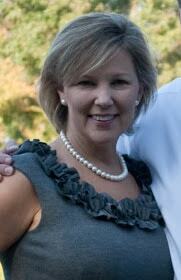 Sherry this is a beautiful makeover. 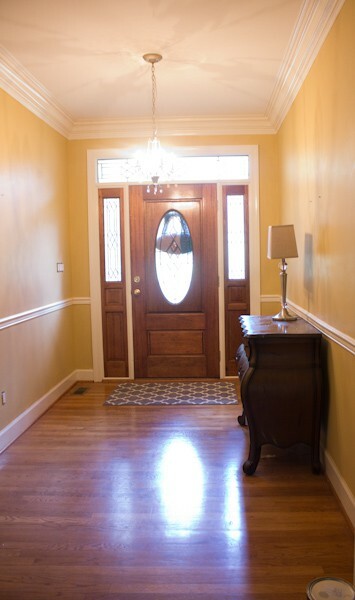 The foyer looks bright and airy and new! I really like how you kept the drawers with the natural wood, it makes a nice contrast to the silver. This looks really beautiful! I have little kids, so I know all about how easily furniture gets scratched and banged up around here. I also really love the mirror that you have hanging over the chest! I am so amazed at what you have done here! This is fabulous and just stunning! 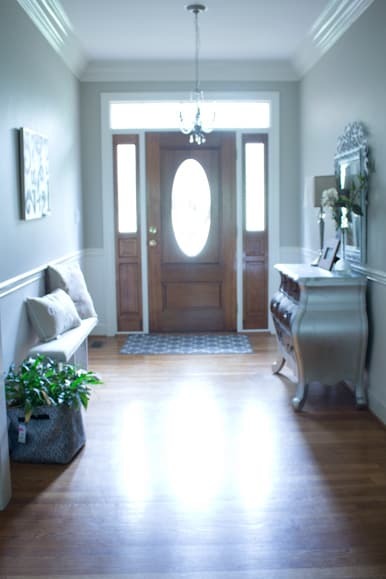 Your entryway looks so welcoming and beautiful. What a beautiful chest you have and you made it really stand out now. It looks perfect where you have it located. Your chest turned out beautiful! I’ve never tried spray painting furniture before, and I’m not good at spray painting anyway. I get in a hurry and the paint runs. Love your added touches with the bench and pillows, welcoming and beautiful entryway. I love the shape of that chest. Your foyer looks beautiful. I love the colour! this would go really well in our house, I love a shiny finish! and the different colour drawers keeps it from being too much! Love how this DIY turned out! It looks like a completely different piece of furniture!! You really dressed it up and I love how it looks in that room. This really makes me want to paint the furniture that I have lying around. Thanks Gina! It was so easy. I think it took only about 40 minutes to paint two coats! Sherry, I love this, a curvy bomb chest is one of the things I would really love to own. 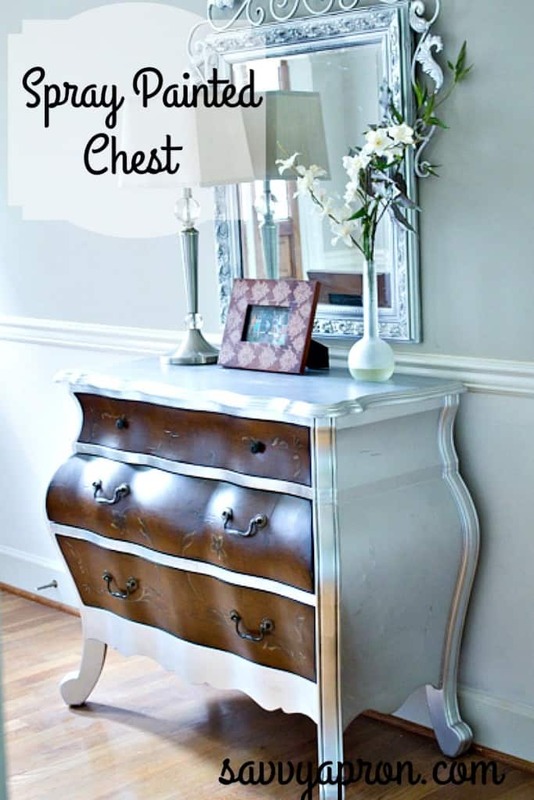 I am a silver girl so this is right up my alley, you did a great job on the chest, and the entire entryway! Love it! Thanks Nikki! I love silver and gold metallic decor! Thanks Rhonda. It sure was easy! Love the contrast of the wood to the silver. I’ll always be a fan of silver and nickle metallics. Nice job! Thanks Vineta! I am obsessed with silver and gold. I love spray paint. I’m not that great at it but I do love it! The chest turned out great. Visiting from Worthwhile Wednesdays party. You did great job, it turned out wonderful! Thank you for sharing at The Really Crafty Link Party this week! Pinned! This is so pretty! You did a great job! Thank you for sharing at Inspiration Thursday. See you tonight at 9 for another party! Thank you. I googled how to spray paint furniture, and I read to spray a very light coat first and try not to cover it completely then keep doing light coats until covered instead of trying to paint it in one heavy coat. That worked! Gorgeous makeover! I love that you didn’t paint the drawers, it really adds to the classy feel of the piece! Well done! I hope you are having a great week! Thanks Terry! I was planning on painting the drawers, but I am so glad I didn’t. I think I’ve read those same blog posts telling me that spray painting furniture is a no no. I did successfully spray paint a tidy little MDF end table, like you I thought as it was something that didn’t matter too much it was ok to experiment. You chest looks amazing, I guess spray paint has it’s place after all, not for every makeover, but sometimes it is just perfect! That’s exactly the way I feel Julie! Sometimes it works perfectly! Thanks Tuula! I have been linking up at your party, but I missed it this week. I just linked up now. Thanks! That’s awesome Sherry! I love this makeover and I pinned it on my own board and on our group board. Thanks so much for sharing at Vintage Charm. 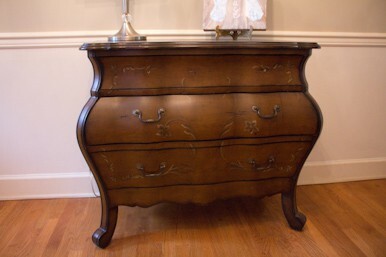 The shape of this chest is beautiful, you have really brought it up to date with your makeover. I like the fact you have left the natural wood with the pretty details as a contrast. Thank you. I have always loved the shape of this chest too. Sherry, lovely work. Looks like a brand new chest. It changes the whole look of your foyer. Very talented you are. So happy you shared at Party at My Place this week. I absolutely agree with your idea of buying scratched and well-loved furniture… there’s nothing worse than walking on egg-shells in your own home! Thanks for linking up at Welcome Home Wednesdays… I loved your post so much I’m sharing it tomorrow in my Fantastic Finds Round-Up! I can’t wait to see what you share with us next week! Thank you Betsy! I am so excited! Love your link party! Thank you Betsy! I am so excited for my chest to be shared with your Fantastic Friday Round-Up! Paint is a beautiful thing!! Great job. Thanks so much for stopping by to party at Totally Terrific Tuesday Link Party and sharing your post. Your chest makeover is stunning!! Have a fabulous rest of the week! Thanks Christine! I can’t wait to see it! This is beautiful, Sherry! Just letting you know that I’ll be featuring it tonight on Best of The Weekend! Hope you’ll be back to link up again! Thank you Amy! I am so happy to be featured! Love using spray paint, it is so fast to update furniture with it. Brilliant you made it two toned! What a difference a little paint can make…awesome makeover….Love, love, love it!!! Super job!!! I would LOVE LOVE LOVE this! We are just getting ready to move into our first house (we’ve been renting) and I have a TON of projects in my line up, the first being an old bench almost exactly like the one in your photo! 🙂 Thanks for sharing! 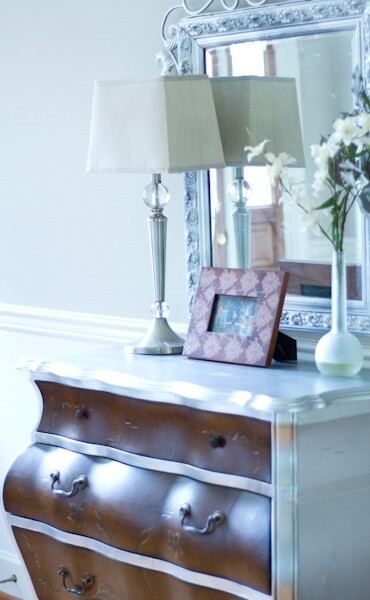 Wow, I just love the silver and how you kept the drawers in their natural wood. What a stunning makeover! I love this, I would never have thought of spray painting furniture but it looks great. The silver color with the wood drawers looks fantastic! Thank you for featuring my project! I am so happy!